Many people find the idea of wills morbid. They think that if they just ignore it, they’ll never have to deal with it. Unfortunately, that’s 100% true. Once they’re gone, they no longer have to worry about it. 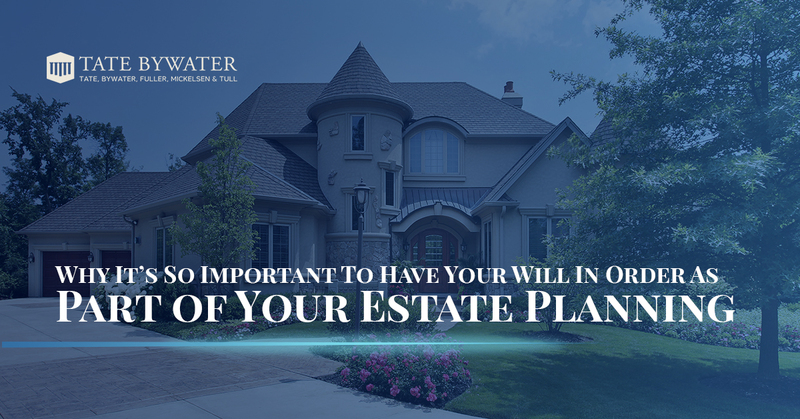 But without a proper will in place, everyone else has to worry about it now, and it can be a very divisive situation with your heirs and dependents. So if you care for your family, it’s imperative that you make sure that your will is properly written to ensure that they’re taken care of. 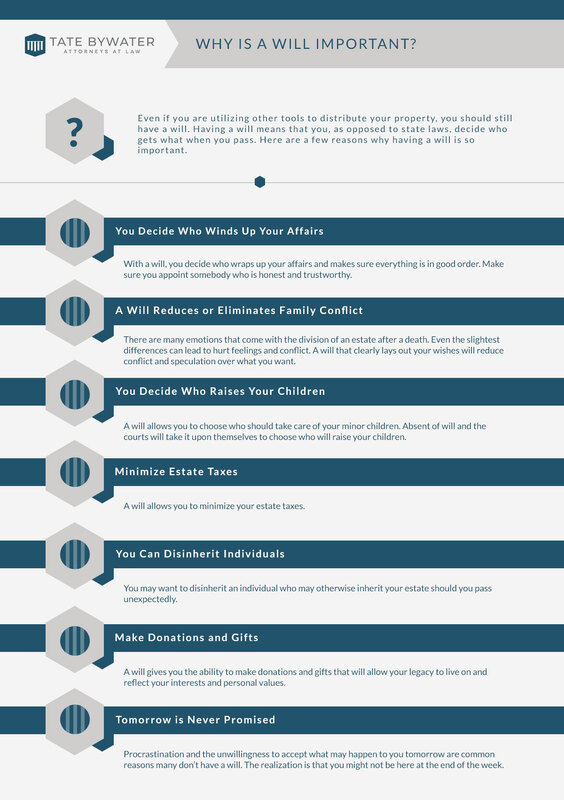 Dependent Children: Perhaps the most important part of a will is how it determines who your dependent children will be entrusted to should you die. 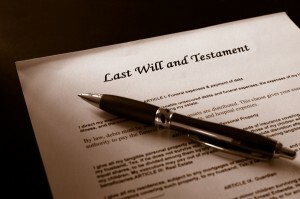 While it might be obvious in your eyes, it’s not obvious to the law…unless you have a properly written will, of course. If you want what’s best for your kids, visit TATE BYWATER and we’ll make sure your decisions are enforceable. Money: Everything goes to your spouse, right? That’s usually the case, but it can also leave him or her open to a number of attacks during probate. And if your spouse died in the same accident as you (or soon after before a will can be rewritten) or you are not married, it’s important that the will dictate whether a person or a foundation gets what you leave behind. Possessions: Who gets what possessions can cause a huge rift between your heirs when you die? Your heirs may be hyper-emotional after your death, and divisions of your possessions can be highly contested during this tough time. When you have us help your will during your estate planning, we can have you decide who gets what, with no question about your intentions. Having this down on paper also gives you the chance to let your inheritors know what you they will get, and more importantly, what they are not getting, after you pass on. Preparing them now is a good step to making sure that there are no surprises that will cause rifts between them and their siblings. A will is an incredibly important part of estate planning, and it’s important to make sure it’s as precise and legally-binding as possible. Contact TATE BYWATER to make sure that your will is the best it can be.